Roulette is the most traditional of all casino games. It is difficult almost impossible to imagine a casino without roulette whether it be a land-based casino or an online gambling venue. There are not too many types of roulette available. Traditionally there are three versions – European, American and French Roulette. A European roulette wheel has 37 slots – one is “0” and numbers between 1 and 36 in non-sequential order while an American roulette offers one additional slot “00”, so it has 38 numbers. French Roulette is similar to European Roulette, but has some special bets – Call Bets. Most online casinos offer European and American Roulette only. If you want to try as many varieties of roulette as you can, head to any Microgaming online casino. 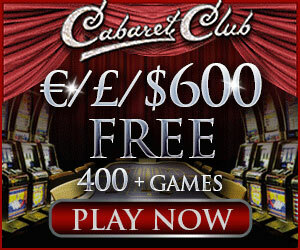 This leading software provider offers the widest collection of roulette games on the Web. Microgaming roulette games can be divided into several parts. First the software launched European, American and French roulette. A bit later they released Gold Series of games including European, French and Multi Wheel Roulette. Gold Series games have better graphics, sophisticated view and realistic sound effects. Designed in 3D these games make you think you are in a traditional casino at the green roulette table. Roulette Gold Series games also offer some fantastic features including AutoPlay, Edit Layout options and Call Bets. Multi-Wheel Roulette Gold is based on French roulette and allows playing up to eight Roulette tables simultaneously. The most state-of-the-art roulette and the latest addition to the collection of Microgaming roulette is Premier Roulette and Multi-Player Roulette Table Diamond Edition. These games are developed in 3D, based on a European variety of the game and feature video zoom, game speed setting, choice of the number of neighbours from 1 to 8 and some others. Playing Multi-Player Roulette Table you can customize your avatar and chat to your fellow players while the wheel spins. Microgaming is one of those gaming providers which offer the progressive roulette. Roulette Royale is an exciting game with a progressive jackpot. The jackpot can be won as soon as the same number lands on the roulette wheel 5 times in a row. The odds of this happening are certainly very low, that’s why this jackpot is won very seldom. The biggest one was about £1 million. Roulette tables have got different betting limits. This fact makes roulette available for players with different bankroll, both high rollers and low rollers. You can play this great games somewhere between $0.25 and $2000. You can also get different roulette bonuses and play thrilling online roulette tournaments.